The study of granular materials is an old and difficult subject that has been studied for many years by the engineering communities. In fact, it has been a topic of significant attention by many physicists since the late 1980s. The properties of granular materials are unlike those of any single-known state of materials, namely the solid, liquid and gaseous states. Instead, under appropriate conditions granular materials exhibit behavior from each of these states. 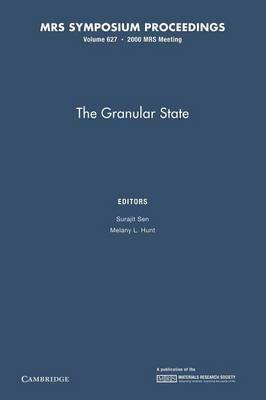 It has, therefore, become customary to refer to the granular state as the fourth state of matter. This book brings together a diverse group of researchers from many countries in the Americas, Europe and Asia who are at the forefront of the field. Scientists and researchers from academia, industry and government laboratories are represented. Topics include: granular structure; granular flows; nonlinear waves in granular media; vibrated and rotated granular media; stress distributions; and from avalanches to sandcastles.